Many of us associate late night eating with greasy takeaways or dried out rejects in the bain-marie. We share memories of straggling home after a big night out, desperate for something to eat and having to take whatever we could find, no matter how much grease was involved. But things are changing, particularly for late-night loving Sydneysiders. The options are now aplenty and appeal to a range of culinary tastes. Here’s just a few to whet your appetite. Check out Golden Century Seafood in Chinatown. You will not be disappointed. They serve full menu until midnight and a supper menu until 2am every Friday and Saturday night. The restaurant is lined with tanks containing an impressive array of live seafood. Choose from lobsters, crabs and even abalone. It is expensive, so bring your debit card if you think you might be running low on cash after a big night out. If you are an overseas visitor you might consider contacting Travel Money Oz at http://www.travelmoneyoz.com/ and getting a Prepaid Cash Passport that will allow you to withdraw cash at any hour without fees. Here you will find not only good food but quirky décor complete with sewing machines and squeaky foot pedals at the tables. The entrance is dimly lit and looks much like a tailors shop. Go downstairs and you will find an amazing late night bar and eatery. Their speciality is curly fries which you can have with a vegetarian burger, duck hot dog or BLT. It’s not expensive and the service is very good. There is also a range of tasty salads if you feel like something refreshing. Cocktails and wine are on offer. The Bourbon is back! After an extended period of renovations, this Kings Cross icon is back in business and serving up food into the wee small hours. You can order from an extensive menu and there are meals for every budget, from the high end to the very reasonable. You can get anything from a snack of chips to a sumptuous serving of grilled lobster. But the best thing about the Bourbon is the atmosphere. It is a venue with a lot of history and character to burn. Mr Wong boasts over 60 items on its Cantonese menu and is a not to be missed gourmet experience for late night diners. The menu ranges from roast duck to shark fin soup and includes the most amazing range of dim sum you will find anywhere. It stays open very late and is easily accessible by bus or train. Frankies is in the heart of Sydney’s CBD and serves pizza till very, very late. 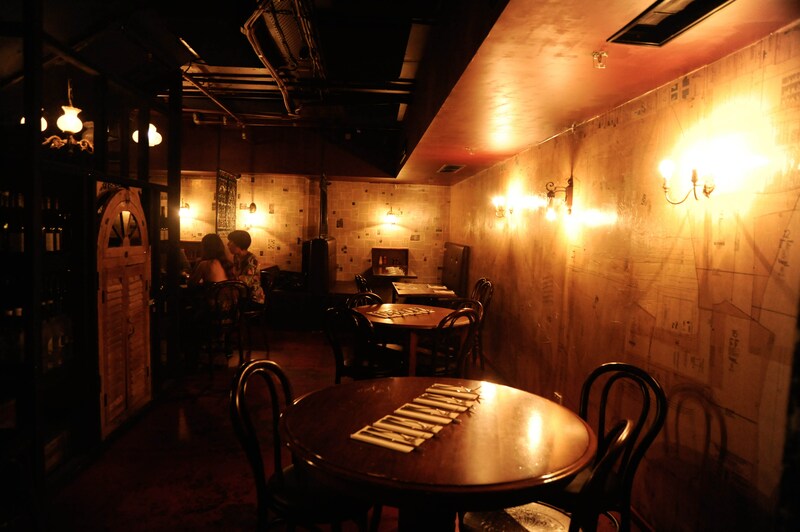 It is a basement bar with plenty of atmosphere. Frankies is a cross between a New York Pizza Parlour and a downtown rock bar. The pizza is scrumptious and for $5 a slice, very affordable. And this is just a taste of the great late-night eateries Sydney has to offer. Explore, enjoy and eat!